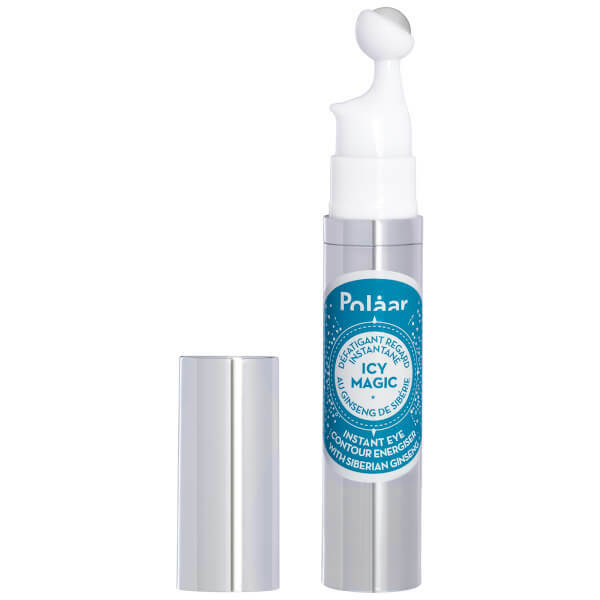 Boost tired and wanting peepers with the Polaar Icymagic Instant Eye Contour Multi Energiser; an invigorating roll-on eye treatment that instantly hydrates and lifts dull, puffy skin. Fortified with Siberian Ginseng, an adaptogen that has a revitalising tonic effect on skin, the soothing gel formula tones and brightens the eye contour whilst Tetrapeptides visibly reduce oxidative stress and preserve skin elasticity. With continued use, the look of dark circles and fine lines is minimised. An advanced blend of peptides and provitamins seek to activate hair bulb keratinocytes, resulting in thicker lash regrowth and reduced hair loss for a gradual false lash effect. Suitable for daily use, eyes appear well-rested and replenished, with skin feeling smooth, firm and supple. 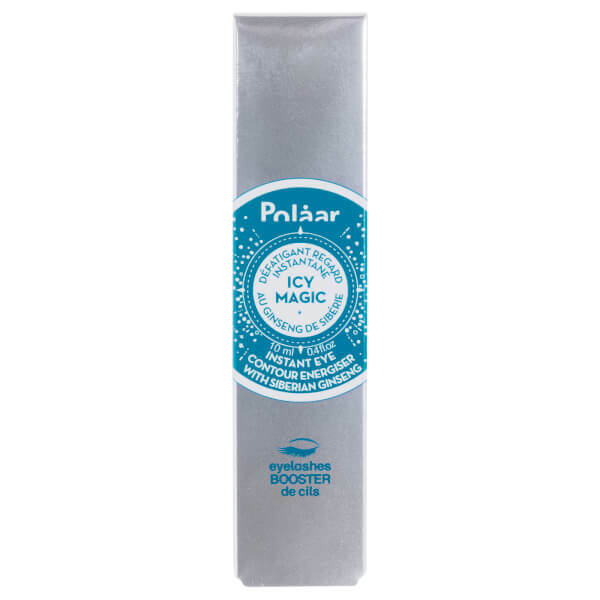 Roll this gel across your under-eye area from inner to outer corner, applying gentle pressure. For best results, use morning and night, or re-apply as needed throughout the day. Aqua (Water), Butylene Glycol, Glycerin, PEG-12 Dimethicone, Phenoxyethanol, Acrylates/C10-30 Alkyl Acrylate Crosspolymer, Hippophae Rhamnoides Fruit Extract, 1,2-Hexanediol, Caprylyl Glycol, Sodium Hydroxide, Ethylhexylglycerin, Disodium Edta, Acanthopanax Senticosus (Eleuthero) Root Extract, Acetyl Tetrapeptide-5, Tropolone, Tocopherol.